It's no secret that yoga and surfing go well together and have many aspects in common. Both yoga and surfing have clear benefits for both body and mind, and as I learned when I finally stood up on the face of a green wave last year, yoga can seriously complement and help enhance surfing performance through flexibility, focus (dharana), balance and breath work (pranayama) just to name a few. Even Kelly Slater has embraced yoga into his repertoire! While surfing can be exhilarating and there's no better feeling than riding the open face of a wave, actions such as paddling, pressing and popping up into the functional stance, and turning can cause a buildup of tension in certain areas of the body. There are a number of yoga poses that can help not only to prepare the body for surfing, but also to restore a state of balance to the body after surfing and reduce the risk of pain and injury. To learn the best yoga poses for surfers, I spoke with Garrett Lane,ERYT-500 yoga teacher, a registered physiotherapist, a high performance surf coach and head of the surf & yoga program at Talalla Surf. Here are some of the recommended yoga poses. Don't let the name of this pose fool you. It is a gentle hip opener and helps to release any compression in the muscles and connective tissue in this area. 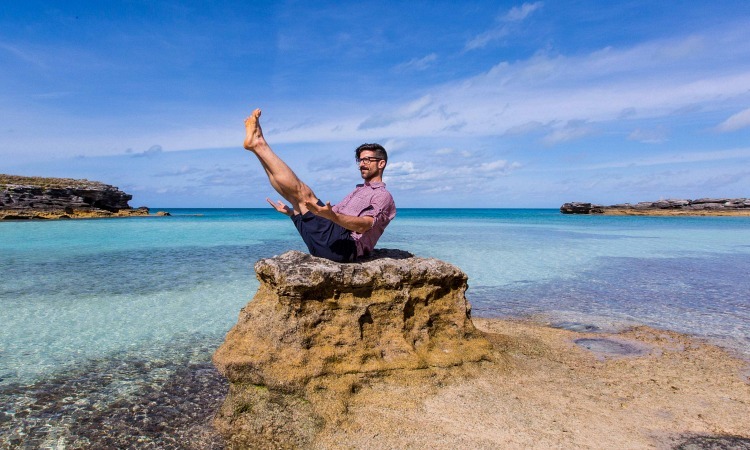 While you are seated in Sukhasana, Garrett recommends activating ujjayi pranayama (victorious or "ocean" breath) to help calm the body's stress response, strengthen the muscles used in respiration and centers the mind. "Linking this breath to movement is the basis of vinyasa yoga and one of the key yogic practices for become absorbed in the present moment. With practice we can learn to ‘ride’ these waves of breath as we flow through the practice, helping us find that same stoke that comes from the surfing experience." Did you know in your surf session you only spend about 5-8% of the time surfing, but 50-60% of the time paddling? "Paddling places significant demand on the dynamic stabilizers of the shoulder known as the rotator cuff muscles. Garudasana allows us to lengthen these small stabilisers and facilitate healthier movement patterns of the shoulder complex when paddling." The surf paddling position is much like Salabasana (Locust pose). "From holding this position for long periods our hamstrings, erector spinae and thoracolumbar fascia become shortened. Downward Facing Dog is the perfect posture for lengthening the dense connective tissue and muscles underneath that make up this region and help to prevent paddling related back pain." This pose is a twofer: not only is it a beautiful release for the hamstrings, it also helps to stretch out the side body and shoulders. "For extra benefit, take a bind with your foot, calf or with a strap and allow your shoulder blades to expand and move forward; this brings length to some of our key paddling muscles - our rhomboids and lattisimus dorsi." Who doesn't love a good pigeon pose? Not only does it offer a wonderful hip-opening sensation, it also carries with it the benefits of a forward fold to calm the mind and soothe the serves. "For surfers, helping to release compression through the lumbopelvic region provides freer movement of the spine for popping up, and allows the range of motion needed in the hips to perform turning and carving manoeuvres." If your hips are tight and you're feeling a bit lopsided in Pigeon pose, place a blanket under the hip to even things out. Or even better, gather some sand and make yourself a sand pillow! For surfers looking for progression, these following poses will help to improve your surfing performance! Like yoga, surfing and riding that perfect wave requires strength, focus and balance. Those looking to advance their surfing skills will find practicing this transition especially helpful. "When we think of yoga and balancing, we commonly think of the static Vrksasana (tree pose). Virabhadrasana III (warrior III), challenges our balance in this same way, but adds in a dynamic element as we transition from Virabhadrasana II (warrior II), replicating more closely the delicate balance required in surfing." Practicing drishti or keeping a focused gaze will help you feel more steady with this transition. Surfers can also benefit from this technique when they're looking down the line to determine the appropriate manoeuvre for the next part of the wave. The dreaded boat pose will really wake up your core! If you're finding it hard to straight both legs, practice a variation by keeping your knees bent and trying to straighten one leg at a time. 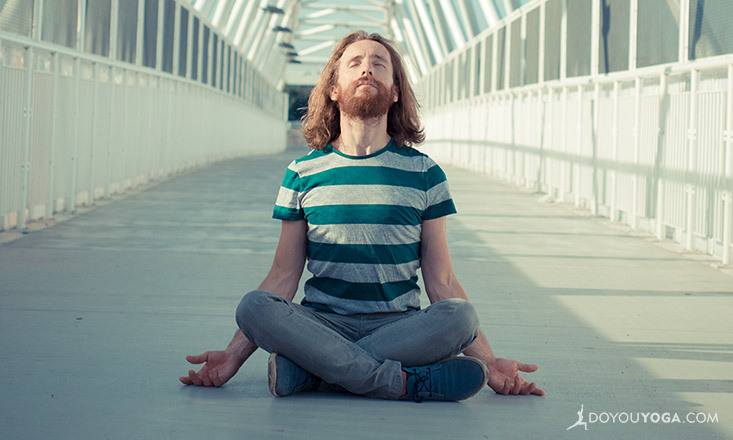 As an Ashtanga yoga practitioner, Garrett loves this pose: "A personal favourite, Navasana changed my frontside carve. Helping to increase the strength and control through the global abdominal and hip flexor muscles allows us to project the board away from the body, whilst still keeping a strong upper/lower body connection, to then bring the board back underneath the hips." What are YOUR favorite pre or post-surf yoga poses?